Emmeline Lake has always wanted to be a journalist, and since it’s 1940, and London is being bombed almost nightly, how better to do her bit than as an intrepid reporter? She already volunteers for the Auxiliary Fire Service, answering telephone calls during Luftwaffe raids. But though she enjoys the work and the camaraderie, Emmy believes she has more to her and more to give. So when she sees an ad from what she thinks is the London Evening Chronicle for an assistant, she applies right away. Her friend Marigold, known as Bunty — don’t ask why; this is England — encourages her to celebrate the start of a sparkling career in reportage. Emmy, the optimistic, hopeful sort, eats it up, and pretty soon, everybody who knows her is congratulating her on her big break into journalism. It never occurs to Emmy that, as a junior assistant, she’s more likely to find her typing skills an asset than creative get-up-and-go. Nor does the way she practically walks into the job for the asking set off any alarm bells. Rather, she makes the unhappy discovery that she’s on a different floor from the Evening Chronicle, and it might as well be the moon. Emmy has gotten herself a job as typist to the redoubtable Mrs. Henrietta Bird, the Dear Abby of Woman’s Friend magazine, though a more apt description might be Dear Queen of Hearts. 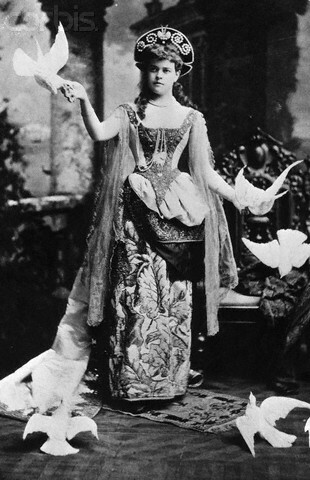 Mrs. Bird doesn’t exactly say, “Off with her head!” But she does shout, and she refuses to answer, or even read, any letter that has the least bit of Unpleasantness in it. The few replies she writes suggest that her empathy, if she ever had any, was jellied in aspic sometime around 1911. There may be a war on, and women are asked to bear many burdens of which men know nothing, all while remaining completely unflappable, cheerful, and physically attractive. But Mrs. Bird knows nothing of this and would rather not hear about it. Emmy cares, however, and knows how to respond, or thinks she does. And since her boss is often out, that leaves the chance open for mischief, or, as Emmy sees it, offering help to those in need. I’ll leave you to guess what happens. Today, London was operating under a low and dreary grey sky, the sort that looked like a giant boy had flung off his school jumper and accidentally covered up the West End. Braving the cold, I was wearing a smart blue single-breasted serge suit, my very best shoes, and a little black tilt hat that I had borrowed from Bunty. I hoped I might look both businesslike and alert. The sort of person who could sniff out a scoop and get the measure of it in a moment. The sort of person who is not feeling as if her heart might positively explode. But these people also know pain and hardship as their city’s being blown to bits. Dear Mrs. Bird contains touching moments when war intrudes, and it’s impossible — undesirable — to keep a stiff upper lip. In such a strained atmosphere, estrangements are sometimes inevitable, and Pearce never lets her heroine sail through life. With the bombs falling, that would be ridiculous. The ending does seem a bit contrived, but it’s also funny, and to object would be churlish. Dear Mrs. Bird is a delightful book. Readers familiar with the Trojan War myths will recognize the name Briseis as belonging to the woman captured by Achilles and taken by Agamemnon, an insult that results in a fateful quarrel. Achilles sulks, and in his absence from the battlefield, the Greeks suffer reversals, the most serious of which is Patroclus’s death. In the traditional telling, the woman herself is a thing, a bauble to be claimed, hardly worth mentioning except the trouble she causes. But in this beautifully imagined, finely wrought novel, Briseis has her say. And when she does, she speaks for all women, those of Troy and elsewhere, of queens like herself and commoners. As she remarks with incisive bitterness, when bards craft the songs of great deeds and heroes, they don’t mention the truth of conquest, “the massacres of men and boys, the enslavement of women and girls.” Needless to say, neither Briseis nor her sisters in captivity cause any trouble, but even the presumption that they do suggests the tremendous power that men have — to tell the story of their battles, as though those were the only ones fought, or theirs the only story. 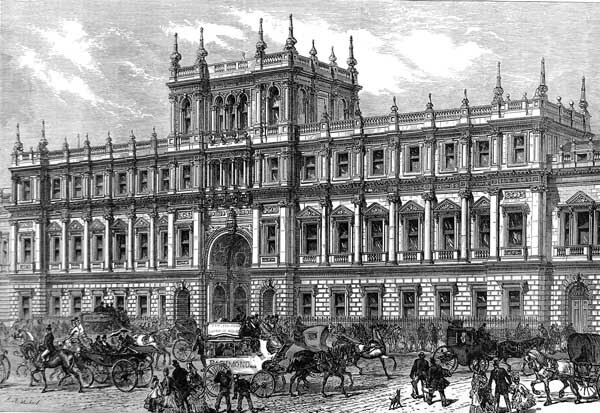 Gangs of men were dragging heavy loads out of the buildings – carved furniture, bales of rich cloth, tapestries, armour, tripods, cooking cauldrons, barrels of wine and grain. Now and then, the men would sit down and rest, some on the ground, some on the chairs and beds they’d been carrying. They were all swigging wine straight from the jug, wiping their mouths on the backs of their bloodstained hands, getting steadily and determinedly drunk. And more and more often, as the sky started to fade, they gazed up at the slit windows of the citadel where they knew the women would be hiding.. . . For hours, I watched them strip houses and temples of wealth that generations of my people had worked hard to create, and they were so good at it, so practised. . . . And then they turned their attention to us. As this description suggests, Barker writes as if she’s actually seen everything that goes on, known all these mythical characters from personal experience. Achilles, a killing machine of great physical beauty but no heart save for love of Patroclus, his childhood friend, makes a disturbingly believable portrait. He’s difficult to sympathize with, considering his ego, merciless outlook, and selfishness, yet you also understand how he’s never grown up — and even realizes it, a little. Barker astutely wonders what it must have been like for Achilles to have a goddess for a mother, and what that must have done to his psyche. Patroclus is much kinder; he almost sees Briseis as a person — almost. Agamemnon’s a loser, a bully said not to risk his skin in battle, and as such, fears that others will see his weakness. The protagonist, meanwhile, refuses to accept her fate, as Patroclus counsels her to do in her first hours as a slave. Her struggles to cope with how it feels to be unseen, unheard, raped nightly by the man who killed her brothers, knowing that however bad her life is, it could be worse — Achilles could tire of her and hand her to his men — speak loudly. It’s her story, all right, and she makes the most of it. Barker does follow the myth, but there are so many unexpected moments within that framework that nothing feels predictable. In that, I’m reminded of my favorite Trojan War novels, The War at Troy, by Lindsay Clarke, and The Songs of the Kings, by Barry Unsworth. But I think Barker goes one better; it’s my favorite of hers since Regeneration. Neither Clarke nor Unsworth would have allowed the few anachronisms in which Barker indulges — a fist pump, Briseis’s knowledge that rats and plague go together, and, most important (and pervasive), modern British slang. Some readers will be put off by that, and at first, it pushes you out of the narrative — a definite no-no — but these soldiers talk like soldiers, and they seem entirely credible. The Silence of the Girls may not be perfect, but it’s pretty damn close. Clare Holmes works in a glassworks in Halifax, Nova Scotia, in 1917, a port city that buzzes with wartime traffic. Living in the big town instead of on her parents’ farm has provoked a constant, simmering conflict with Clare’s controlling mother, Ada. But Clare has plans that Ada would never dream of. The young woman is saving up for her passage to France so that she can become a Red Cross nurse and be near her soldier fiancé, Leo. However, when a ship blows up in the harbor, the blast destroys the glassworks and a swath of town, leaving many dead. The consequences for Clare are severe and cascading. Not only does she lose an eye, which means Ada grabs her and brings her home; Clare worries that Leo won’t want her anymore; and, worse, the post-traumatic stresses sap her desire to live. Her friends hold out hope that she’ll be able to return to the glassworks, but her job there involved checking the product for flaws, and the boss isn’t the only one who doubts she can manage that with only one eye. It’s a nice twist, the flaw-checker who feels — and is — damaged herself. And she becomes so aware of her imperfection that she can hardly get out of bed, let alone function. But Clare is nothing if not independent-minded, and Watt has put her protagonist’s inner life on vivid display. Overcoming her disability literally means Clare has to develop another way to see the world in perspective; and when you read that she takes up drawing, the metaphor gains breadth. But her adaptation of course involves how she sees herself, and this is my favorite aspect of Dazzle Patterns. Where once Clare defined the future as being Leo’s wife, or, more immediately, staying out of Ada’s clutches and becoming a nurse, she now takes a larger view. It’s as if Clare’s loss and necessary compensation for it have let her grow in unforeseeable ways, to extend the metaphor even further. Walking back to his rooming house Fred saw houses fallen in upon themselves, charred like abandoned bonfires, or burnt completely away, only the chimneys flooded with black puddles of ash and snow. Standing houses stared blank-eyed, all their windows gone. Telephone poles tilted. On the street, a breadbox, a school bag, a woman’s evening shoe, black patent with a pointed toe and a velvet bow. At the corner of Agricola and West Street, Fred brushed the snow off and righted an empty baby carriage. But I think Fred’s less successful than Clare as a character. Watt makes him a prewar German immigrant, which allows her to evoke the jingoistic suspicion of an “enemy alien” who is actually a naturalized Canadian. I like the theme and how Watt plays it, but Fred’s a bit too good to be true, as if the chief victim of the narrative must be a paragon. Leo’s more believable as a person, but what happens to him, less so. He’s a sapper, assisting the engineer officer who tunnels under German lines. Watt’s depiction of that rings true. But the narrative fudges on what the Western Front looks and feels like, and other details are simply inaccurate. Most critically—and I don’t want to reveal too much–Watt fails to consider what a civilian’s possession of a firearm in a war zone can mean, as in getting the entire village put up against a wall. Moreover, that entire setup seems designed to alter Leo in convenient ways, whereas leaving him as he was, though messier, would add depth and conflict. Finally, I hope that what I read is an uncorrected proof — although it doesn’t say so — and that a proofreader will catch mistakes like the constant misspelling of Fred’s German name, and the typographical and grammatical errors that crop up. 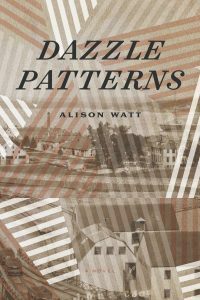 Still, I enjoyed Dazzle Patterns. 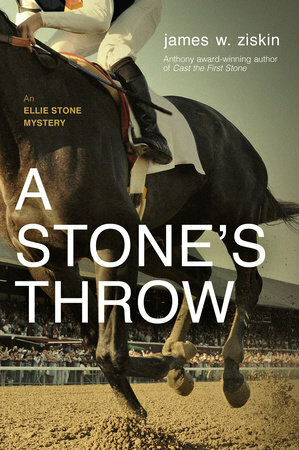 The story is compelling, Watt tells it with brio, and has provided a heroine worthy of your time and attention. Disclaimer: I obtained my reading copy of this book from the publisher via Historical Novels Review, in which this post appeared in shorter, different form. 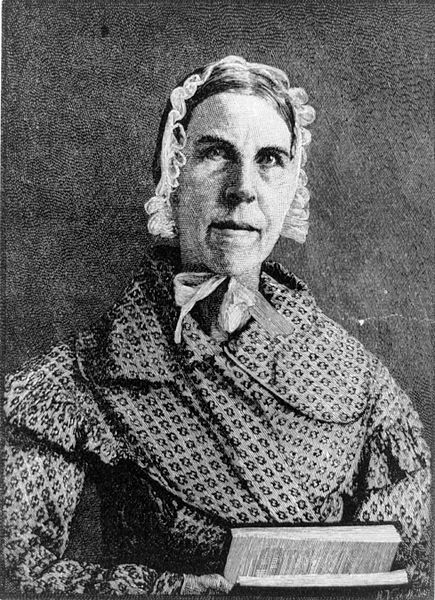 On Sarah Grimké’s eleventh birthday in 1803, her mother, Mary, “promotes” her from the nursery to a bedroom, a welcome, long-awaited change. Sarah’s tangible birthday gift displeases her immensely, however — a slave girl named Hetty, a.k.a. Handful, slightly younger than herself, to be her maid. Sarah’s oldest memory, from age four, which still terrifies her, is of watching one slave whip another on her mother’s orders. The brutality and injustice, driven home by Mary Grimké’s obdurate character — she’s a nasty piece of work — mold young Sarah into an abolitionist. That’s quite a turn for the daughter of a planter aristocrat judge in Charleston, South Carolina, and when Mary calls her “different,” it’s not a compliment. Sarah has no friends or confidantes, and her only allies in her family prove treacherous. Given her longings and principles, she turns to Handful, attempting to free her, sharing secrets and teaching her to read and write (against the law, of course). Handful, however, remains largely unimpressed, seeing her unwilling mistress as a representative of the system. The Invention of Wings is a superbly imaginative, engrossing novel that occupies difficult terrain, and I applaud the author’s effort and intentions and much of the execution. Still, I wonder about the portrayal of the key relationship, which throws the novel off its footing. From her life as a slave and her own social isolation, Handful would likely recognize the loneliness in the plain, socially awkward Sarah, who struggles with a stammer, and who’s crushed whenever she objects, protests, or simply expresses her individual viewpoint. To be sure, Sarah would never be whipped, may read and write without fear of punishment, eat whatever she wants, need not labor, and at least may protest openly, for what little good it does. All the same, I think Handful would have come across more completely had she wrestled with two opposing instincts: to go further toward accepting Sarah’s friendship in the spirit it’s offered, warily, while also resenting her like hell. Kidd takes pains to show how Handful’s mother, Charlotte, instills in her the urge to resist, so we’re meant to think her rebellion is earned. Yet her attitudes seem so fully formed and coherent, I kept thinking she anticipates 1960s radicals by a century and a half. Is that implausible? I’m not sure. The Grimké sisters, Sarah and Angelina (Nina), were famous radicals of their day, pamphleteers and lecturers for abolition and feminism. Unlike the vast majority of abolitionists, Sarah campaigned not just for ending slavery but for racial equality. So why can’t Handful offer a counterpart? Maybe it’s because the voices don’t feel quite right. Like Handful’s what-have-you-done-for-me-lately, Sarah’s righteousness rings hollow after a while. I want her to put two and two together and realize, at least dimly, that her financial and social privilege derives entirely from a system she detests, and that when she dresses up to go to a ball, what she’s wearing on her back has come from beatings, repression, and the cruelest kind of exploitation. Otherwise, how could her hatred of slavery be so certain? I also want the two main characters to tangle over what separates them; instead, they have a few unsettling exchanges and withdraw from one another to the extent that they can. I like how Kidd takes a real-life abolitionist and feminist pioneer and shows you how she came to be. In fact, the feminist thread feels more nuanced and sure-handed to me, evolving rather than springing nearly full-blown into life. Giving the elder Grimké sister a foil in Handful is a bold move, even if their relationship wants more fleshing out, more controversy. The Invention of Wings is a brave book; perhaps a little more bravery would have made it even better. The year is 1907; the place, London. Picture a romance between Lilia Brooke, anticlerical, militant suffragist who believes in “free union” rather than marriage, and Paul Harris, an Anglican canon, and you have the premise of Impossible Saints. What’s more, Paul hates even the idea of a “free union,” because his mother left his father to live with another man. Finally, as a young cleric on a rapid rise, he’d do well to steer clear of Lilia for the sake of his career prospects. More than four decades ago, I first read George Dangerfield’s classic history of the Edwardian era, The Strange Death of Liberal England, which I highly recommend. 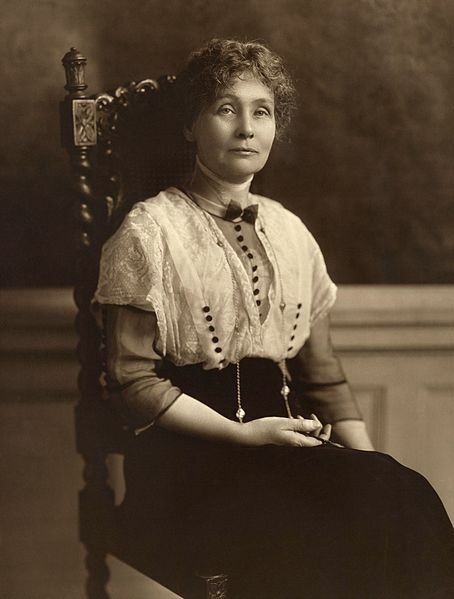 I can still recall the hair-raising chapters about Emmeline Pankhurst, arguably the most famous (if not the most influential) suffragist in the English-speaking world, and her daughter, Christabel, both of whom took a great deal of physical and verbal abuse for the cause. (Another daughter, Sylvia, was also involved in the movement.) Lilia Brooke, though fictional, is cut from their cloth, a woman who feels that eloquent speeches and pamphlets aren’t enough, though she excels at both. Rather, she must take her cause to the streets in ways that can’t be ignored, and, like any honest militant, she leads from out front. Consequently, Paul and Lilia have decisions to make. I was delighted to find Harwood’s novel and surprised that it’s the first I’ve ever heard of to portray the suffrage movement in that time and place. I like honest political romances, by which I mean those where both partners are committed, body and soul, to their beliefs, rather than stories in which philosophical differences provide a handy device to keep the lovers apart for a while. I further applaud Harwood’s passion for the era and her understanding and love for the ideas that shaped it. In our politically fractious age, it’s thought-provoking to read about lovers whose undeniable attraction risks foundering on divergent beliefs about morality and justice. But I wish that Impossible Saints offered a more vivid, nuanced, less predictable narrative. Told almost entirely through dialogue, a choice that demands authorial skill and the reader’s patience, the novel feels like a tract or a running debate. Paul had entertained two incompatible expectations of these women — the romantic, sorrowful, lovely unfortunates of Pre-Raphaelite paintings on the one hand, and the gaudy, brash, painted courtesans of legend on the other. Neither expectation was realized. What surprised Paul most was how ordinary and young Mary looked. She couldn’t have been older than seventeen, yet her face was sober and intelligent, reminding him of his father’s upper servants. Was this one of the wicked, abandoned creatures that many of his colleagues spoke out against from the pulpit? I have no doubt that Harwood’s observations here are dead on, and I believe implicitly that Paul has never considered a woman like this for who she is. But I don’t think he’s really seeing her now, either, for the description feels pigeonholed, generic, even academic, and since it’s a key moment, his reaction should be visceral. I get that he doesn’t reveal his feelings to others, though they run deep, but aside from described internal states, they’re hard to find. As such, I feel sympathy and interest in viewpoints and where those will lead, but am less compelled by the characters who hold them. There’s little or no external vividness, either. Emmeline Pankhurst, who surely deserves at least a line of physical description, receives none (and neither Christabel nor Sylvia is even mentioned). Impossible Saints has little grounding in any particular place, and neither London nor the early twentieth century comes alive in its pages. Artless is the word that comes to mind about this novel, in its simplicity, which can be charming, but also in its lack of subtlety or surprise. With apologies to Paul’s profession, so much of this book feels ordained; when anything appears the least out of the ordinary, you can bet it will work its effects in the next chapter or so, and you can guess what they’ll be. Conversations feel direct, to the point, and resolved, and though occasional misunderstandings arise, people seldom, if ever, interrupt or talk past each other. Impossible Saints is a novel about ideas, less so the people who hold them. And though those ideas are powerful and timely, the narrative never quite takes flight. He’s almost thirty, already Russia’s greatest poet, passionate, witty, and joyfully charismatic. She’s sixteen, gorgeous in the way that inspires poems, and yearns to free herself from a stifling household and a cruel, domineering mother. Poet and beauty are immediately attracted, and their wish comes true. Yet their marriage turns tragic, for Alexander Pushkin dies after a duel fought to defend his wife’s honor. History has blamed Natalya, because, as this novel argues, no matter what the truth, the woman’s always at fault. Laam has written biographical fiction from Natalya’s first-person point of view, to set the record straight, and I think she largely succeeds. Yet in service to the argument, the novel occasionally suffers, so though I admire and recommend The Lost Season of Love and Snow, several parts mar the total effect. The novel begins with Alexander on his deathbed. Since everyone who knows anything about Pushkin knows he lost his life to a duel — and if you don’t know, just read the jacket flap — this puts the author in a bind. Does she reveal this out front, or does she attempt to leave the ending a surprise? Obviously, she chooses the up-front approach, and as prologues go, this one works better than most. Yet the choice demands that all tension thereafter resides entirely in the how, and since we’re told who the killer is, that places a further obstacle in the storyteller’s way. A retrospective risks making every scene superfluous until the villain enters the narrative. To her credit, Laam does her best to overcome this problem. The courtship sections offer plenty of reversals, and Natalya suffers doubts as to her suitor’s fidelity and whether he sees her only as a bauble to possess. These anxieties create some tension and amplify the theme. Yet I was impatient to get through these scenes, and not only because the real story comes later. Natalya’s mother and two sisters are flat characters, each unfailingly mean-spirited or warm. Though the meanness provides the chance for conflict, we already understand that Natalya can’t wait to escape, so, in a sense, drawing this out serves little purpose. If, however, the author had begun the story with the courtship and suggested foreboding about the upcoming marriage, neither she nor the reader would have had to work as hard. But the two principal players carry the show, and once they marry, their passion for one another comes through loud and clear. And as a married woman making her way in St. Petersburg society, Natalya feels the danger escalate, and so do we. 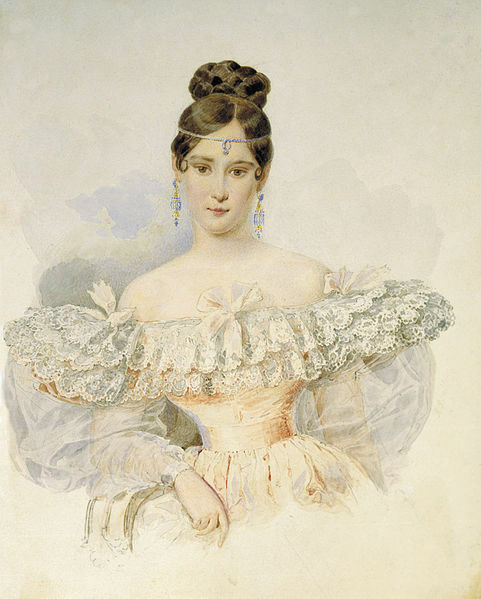 This web of gossip and intrigue centers on the czar, Alexander’s patron but also a known womanizer, who woos Natalya while thwarting her husband. (Known to history as the Iron Czar, Nicholas I unfortunately comes across in these pages as wooden instead, but at least he’s plenty threatening.) Further, she acquires a reputation as a flirt, not entirely undeserved, though of course nowhere near the way jealous tongues would have it. More and more, I sought escape from our little family dramas in masquerades.… When I wore my costumes, I was no longer a wife and mother with debts and a distracted husband, but a character from a fairytale, a figure from history — a goddess. Once a group approached me at a ball to tell me how fine I looked, I longed for more people to do so. I was no longer the decorative poet’s wife. For once in my life, I felt valued for myself, not for how well my presence reflected someone else’s glory. I like this psychological observation, which doesn’t go too far toward feminism for the time, yet sends a message. Even better, I like another gambit Laam tosses out during a flirtation between Natalya and the man who eventually forces Alexander to challenge him to a duel. Distressed by her husband’s spendthrift ways and haphazard work habits, she briefly fantasizes life with the worldly, handsome, wealthy philanderer — unconsciously killing off Alexander, if you will. Natalya immediately draws back, but I wish she’d toyed with her fantasy more persistently, for it would have engaged the boundary between thought and action that causes so much trouble in public misperception. Nevertheless, Laam is being very brave, here, risking her heroine’s reputation in the reader’s eyes. That is the author’s theme, and The Lost Season of Love and Snow tackles it forthrightly.